Waymo was dealt a fresh setback in its fight with Uber Technologies Inc. with a series of unfavorable rulings ahead of a high-stakes trial next month over driverless technology. A federal judge threw out a key trade-secret theft claim in the Alphabet Inc.’s unit lawsuit alleging that one of its former engineers schemed with the ride-hailing giant to steal critical know-how. The judge also rejected a technical analysis by one of Waymo’s expert witnesses. In addition, he dismissed one of the defendants in the case, which will put more pressure on Waymo to prove that Uber itself engaged in misconduct independent of whether the engineer misappropriated proprietary information. Legal experts said they can’t read too much into the judge’s ruling narrowing the list of trade secrets to be presented to a jury to eight from nine because many of the court documents describing the details of each secret are sealed from public view. The dismissal of the one claim won’t reduce the $1.86 billion in damages Waymo is seeking because that figure is based on a different trade secret. Waymo was originally pursuing 121 separate claims but was ordered by Alsup to whittle them down to keep the case from becoming unwieldy. U.S. District Judge William Alsup said in a ruling late Nov. 2 that Otto Trucking, a startup founded by the engineer at the center of the case, Anthony Levandowski, is no longer a co-defendant with Uber. Alsup noted that Waymo didn’t name Levandowski as a defendant in the case in order to pursue arbitration separately with him and keep the fight with Uber in public court, and must stand by that decision. “Having made and benefitted from its strategic choice to not name Levandowski as a defendant, Waymo may not renege and suggest that Otto Trucking — or any other defendant — is somehow a stand-in for Levandowski, or that misappropriation by Levandowski is somehow automatically transmogrified into misappropriation by Otto Trucking,” he wrote. “After dropping all their patent claims, Waymo has now lost one of their most important trade secret claims — and the court has seriously questioned the credibility of the expert they are relying on to support their remaining claims,” spokesman Matt Kallman said in an email. “Our case has always been principally against Uber and Ottomotto, and we look forward to presenting our evidence on multiple trade secrets at trial,” Waymo said, adding that Alsup allowed for the possibility that Otto Trucking may have to abide by future court orders blocking use of its technology. 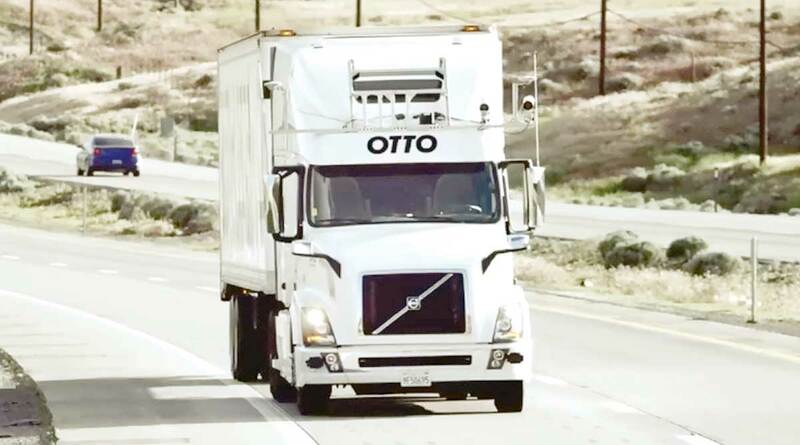 Ottomotto was formed by Levandowski and later acquired by Uber. The trade secret that was cut, identified as No. 96, is described as a schematic for a printed circuit board used to transmit light in the company’s LiDAR system, the laser-radar technology which helps driverless cars navigate obstacles and one another. Waymo was also relying on the secret to buttress its claim that Uber colluded with Levandowski, an important connection in its narrative of how the theft transpired. Waymo had told Alsup in August that No. 96 was contained in the 14,000 computer files that Levandowski took before he left the company in January 2016 and later joined Uber as the head of its driverless car program. “Out of 14,000 files, we narrowed it to this one schematic,” Waymo’s lawyer, Jordan Jaffe, told the judge during a hearing. The judge personally examined the schematic, according to the filing. “It became readily apparent that the schematic in question included hundreds of components and specifications with no clue as to what part thereof might be considered trade secret information,” the judge said. Alsup has grown increasingly critical of Waymo’s case since it was filed in February. Last month, in an order rejecting the company’s bid for access to Uber’s source code, the judge said Waymo was “wrong” in its assumption that he postponed the trial so the company could root out and add new trade-secret theft claims to its suit. Levandowski isn’t a defendant in the lawsuit. But after Waymo portrayed Levandowski in its complaint as the central culprit in a massive theft of sensitive data, Uber was ordered by the judge to wall him off from working on the LiDAR technology in dispute and then fired him in May. Levandowski has mostly stayed silent during the litigation, asserting his constitutional right against self-incrimination, and isn’t expected to testify at the trial. The Stanford University electrical engineering professor’s analysis amounts to “smoke and mirrors,” Alsup said. Little precise detail is known about Waymo’s trade secrets, or how they relate to one another, because they are discussed behind closed courtroom doors and described in redacted court filings to protect their confidentiality. “Most plaintiffs would rather go in with as many arrows in their quiver as they could possibly be allowed so they can have one or more of them make the mark,” he said.